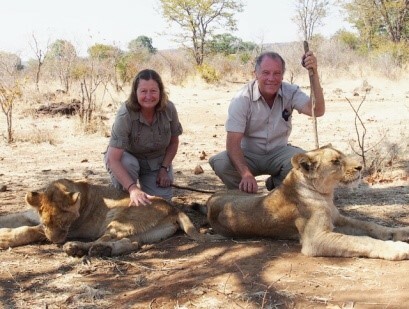 I recently received the following review of one of my safaris from Howard and Lynda Grant of NSW. Howard tried to post the review but because he wanted to add pictures he was not able to do so and he asked me to look at solving the problem. Being the technological wiz that I am I have come up with the following plan. I am adding it to my “News” page as I believe that such a considered review should be published and this is my best solution. Yes, it is all about me and my business but written with sincerity and a discerning eye for detail so it makes it also valuable to you who are thinking of an African safari holiday. I have a real computer guru looking at it to see If I can get it into the reviews section but in the meantime here it is and I hope you like it as much as I did when I received it. The Grants are fantastic people and were a real pleasure to travel with on safari. Many of us who read a review are sceptical of the writer’s intentions. Was our accommodation satisfactory YES – in fact it was OUTSTANDING! 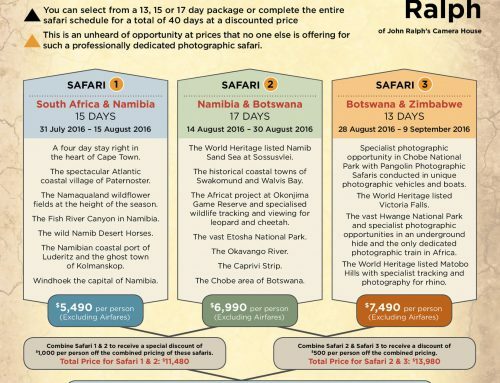 My wife and I were very fortunate to join two other like-minded couples for a 29 day Southern Africa Explorer Safari. We travelled from Johannesburg South Africa through Botswana into Namibia on to Zimbabwe and finally back into South Africa. John Cooper, our genial tour guide and owner of African Adventure Safaris met us at Jo’burg airport as planned and whisked us away to Africa Sky Lodge for our first night’s stay. After a long flight from Australia this location allowed us to refresh ourselves before beginning an adventure of a lifetime. The overnight accommodation was outstanding. At all times John Cooper afforded us of his many years personal experience of several southern African countries. When needed John was able to implement flexible arrangements to cater for the needs of our six travellers. So What Did We See. One goes to Africa to see wildlife! We saw plenty, some up real close as the photos indicate. Wild animals in their own environment are truly stunning. From the big 5 to colourful lizards there is so much to encounter and through John’s years of experience his safaris get you to where you need to be. But Africa is more than wildlife. We spent 3 days in Victoria Falls “The Adventure Capital of Africa.” This turned out to be not quite enough time as there are so many things to do and see and the falls themselves are truly spectacular especially if viewed from the air via a helicopter flight (which John was able to coordinate). 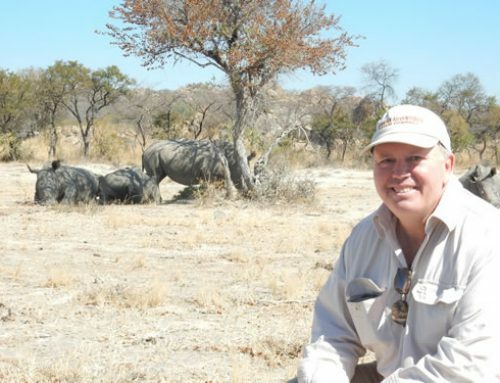 John’s in-depth knowledge and his passion for all things African translates into many fun filled days and outstanding experiences to which many travellers are afraid to commit. 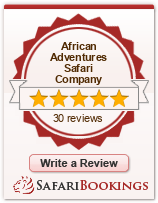 Lose your inhibitions and travel to Africa with African Adventure Safari Company before it is too late. You will cherish the memories. Should you wish to ask me some questions contact John Cooper (john@africanadventures.com.au) and ask for Howard’s email address.